The ZED is a 2K stereo camera with dual 4MP RGB sensors, a 110° field of view and ƒ/2.0 aperture. The ZED streams uncompressed video at up to 100 FPS in WVGA format. It is an UVC-compliant USB 3.0 camera backwards compatible with USB 2.0. The left and right video frames are synchronized and streamed as a single uncompressed video frame in side-by-side format. You can change video resolution and framerate in the ZED Explorer or using the API. For more information on how to access these views, see Video Capture. Brightness – Controls image brightness. Contrast – Controls image contrast. Hue – Controls image color. Saturation – Controls image color intensity. Gamma – Controls gamma correction. White Balance – Controls camera white balance. Exposure – Controls shutter speed. Setting a long exposure time lead to an increase in blur. Gain – Controls digital amplification of the signal from the camera sensor. When the camera is in ‘Auto’ mode, parameters such as exposure, gain and white balance are automatically adjusted depending on the scene. The ZED is a UVC camera so you can capture stereo video in MP4 or AVI format using any third-party software. However to use the ZED SDK, you will need to record your videos in Stereolabs SVO format. SVO files contains additional metadata such as timestamp and sensor data. When loading SVO files, the ZED API will behave as if a ZED was connected and live feed was available. Every module of the ZED API will be available: depth, tracking, spatial mapping and more. To record SVO videos, you can use the ZED Explorer application in GUI or command-line mode or build your own recording app using the ZED API. SVO videos can be recorded using various compression modes. We provide both lossless and compressed modes to preserve image quality or reduce file size. You can record videos with multiple cameras connected to the same PC. When using hardware encoding (H.264, H.265), make sure to check the NVENC support matrix which shows the maximum number of concurrent recording sessions that can be started on a single NVIDIA GPU. You can also add multiple GPUs in a single server to increase the number of recording sessions with hardware encoding. For optimal performance, we recommend using the H.264 and H.265 recording modes. They benefit from the hardware-based encoder (referred to as NVENC) built into NVIDIA graphics cards. With encoding offloaded to NVENC, the GPU and the CPU are free for other operations. For example, in a compute-heavy scenario, it is now possible to record video at full frame rate with minimal impact on the main application. For more information on capturing, playing and converting AVI and SVO video files, see the Recording samples on GitHub. The ZED SDK can stream the left and right images of the ZED camera. The Stream module sends video content over the network, so devices with the proper permissions can access the live feed from anywhere. When taking a stream as input, the ZED API will behave as if a camera was directly connected to the PC. Every module of the ZED API will be available: depth, tracking, spatial mapping and more. 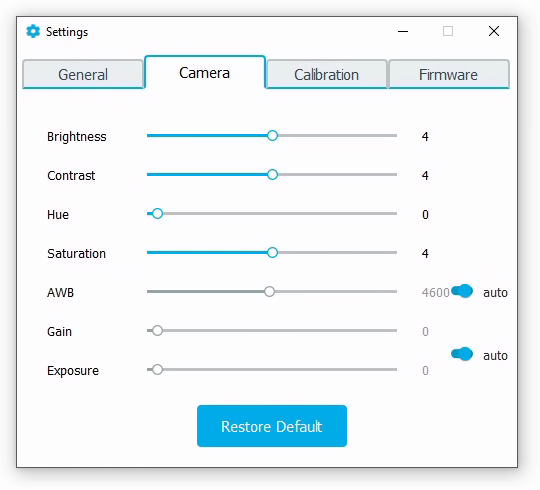 To stream the video content of a ZED camera, you can use the Camera Streaming Sample. The ZED SDK can stream images using either H.264 or H.265 encoding modes. Below are recommended streaming bitrates depending on the encoder, the target resolution, and the FPS. You can stream videos from multiple cameras connected to the same PC. When selecting the encoding mode (H.264, H.265), make sure to check the NVENC support matrix which shows the maximum number of concurrent encoding sessions that can be started on a single NVIDIA GPU. Both H.264 and H.265 encoding modes benefit from the hardware-based encoder built into NVIDIA graphics cards (known as NVENC). With encoding offloaded to NVENC, the GPU and CPU are free for other operations. For example, in a compute-heavy scenario, it is now possible to stream a video at full frame rate with minimal impact on the main application. For more information on streaming a video and using a stream as input, see the Streaming samples on GitHub.